The construction company is studying a possible counter-bid for Abertis in order to improve Italian Atlantia’s offer price of 16.5 euros, but no decission has been made yet even though the Spanish Securities and Exchange Commission CNMV has already been notified. Indeed, in the middle of May, Atlantia launched a full takeover bid for Abertis worth 16.341 billion euros aiming to create the world’s biggest toll road company. ACS would need to finance around 32 billion euros (3x its current market cap of 11 billion euros) and have to submit a counter offer of more than 17 billion euros to enhance Atlantia’s takeover and assume a net debt of Abertis over 15 billion euros. After the deleveraging process that ACS have been going through in the last years, it seems difficult to change direction in order to enter a company in which it already possessed some stake which is not part of its core business. They would need to accept the offer along with some financial partner. ACS could be in talks with various pension and infrastructure funds and private equity firms to make a joint counter-bid for Abertis. As reported by Reuters, “negotiations with funds from Australia and Canada, including sovereign funds, are ongoing, although no agreement has been reached yet,” two sources familiar with the matter said last week. 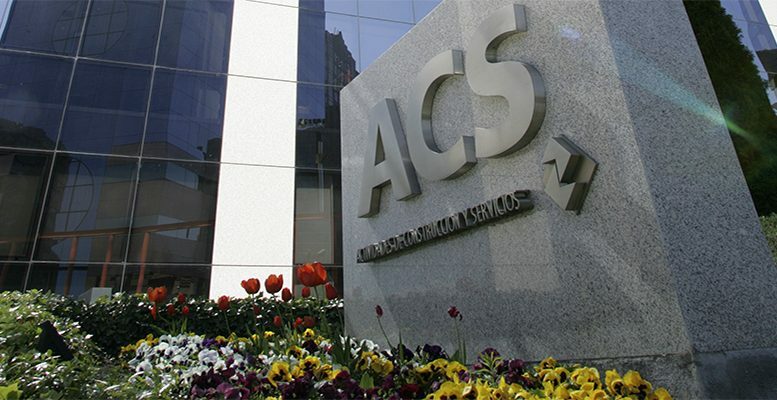 According to Bankinter’s analysts, in the case that ACS is intended to buy a stake of 51% in Abertis, the central scenario involves that the operation will be financed with a mix of debt and capital increase in a proportion around 40% and 60%, respectively. The acquisition would help to rise estimated ACS’s earning per share by 12%. Furthermore, experts remind that the operation makes “strategic sense” since the contruction company was Abertis’s founding shareholder and the Spanish government would be more prone to accept a bid from ACS rather than from Atlantia given the stake that Abertis has in Hispasat. Even so, we consider this news positive for Abertis’s stakeholders ir order to increase Atlantia’s offer. We reiterate hold ACS and Abertis, and fix target prices at 38.5 and 15.8 euros, respectively. Abertis presented first half results 2017 on Wednesday totalling a net profit of €415 million, 18.6% less than the same period of 2016, but up 19% like-for-like, specified the company.